Since their release, hoverboards have always impressed people of all ages for many different reasons. They are fun to ride, and unlike cruiser bikes that challenge some people, they are very easy to maneuver. Most models have battery-powered systems that will ride well both indoors and outdoors. They are also portable. In addition to that, hoverboards are eco-friendly, inexpensive, convenient and have no maintenance cost. Do not hesitate if you’re planning to buy one. You will certainly enjoy using it. Buying a cheap hoverboard is a safety hazard since it increases the risk of falling. Other hoverboards may come with low grade parts such as batteries that could harm people. Therefore, it would be essential to consider every aspect and quality of a hoverboard before purchasing one. When shopping for an electronic device, it is important that you ensure they are as safe as possible. Many people tend to overlook safety with disastrous results while buying for hoverboards. Check its battery pack, for example. They are pretty much everything when dealing with hoverboards. Apart from determining how fast and how far you can go, they also add weight to the hoverboard. Batteries that do not overheat and degrade over time will serve you best. Low grade models lack this feature in cells which may cause explosions and burn the house down. They are also a threat to human health. You should also look for UL- certified hoverboards. 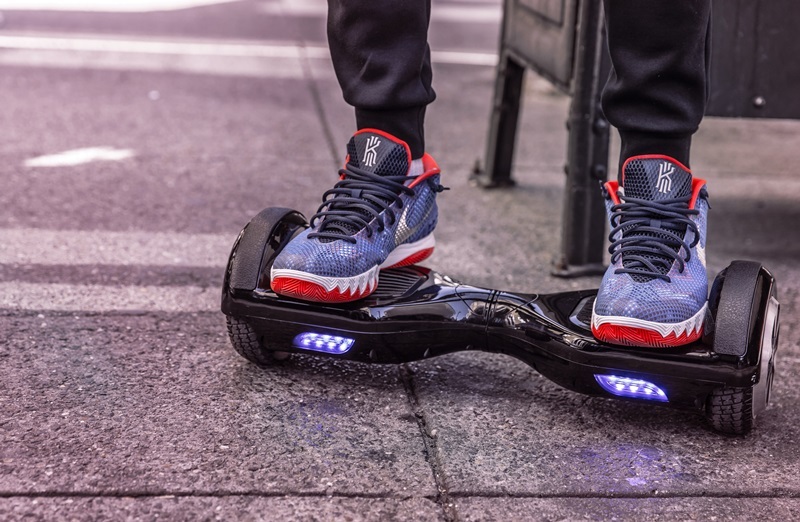 Hoverboards have become very common in their market saturated with different brands all after your cash. If you buying the hoverboard online make sure to choose a trusted manufacturer because there are significant differences in build quality with hoverboards. For instance, the frame, sensors, internal motors, the housing material as well as other electronic components may differ. It would also help a lot to read online reviews before settling on one manufacturer. For clarity, do your homework on a specific model and also pay attention to what customers are saying. For the best quality ensure you choose a reliable manufacturer. The range of a hoverboard means the total distance it can go with a single full charger. Hoverboards with high range travel far and vice versa. You should consider high range hoverboards for commuting to work or school. Low range hoverboards are suitable for recreation purposes and also cheaper compared to high range ones. When it comes to speed, most models range from 3 mph to 10 mph. There are also those that run up to 12 mph which is very fast. Therefore you should consider the range and speed depending on the purpose you wish the hoverboard to play. It would be pointless to buy a product that will break down after a week or two. Make sure you buy a product with durable components to get value for your money. These components include the chassis which should be able to support your weight. Check the wheels too. A durable hoverboard should have sturdy all-terrain wheels.